This Polished Chrome 7.5 kW generator is perfect for adjusted cubic footages of up to 250 cu ft.
First – measure the normal cubic footage of your shower stall. Next you’ll need to adjust this for certain steam shower stall features such as materials, exterior walls, and ceiling height. 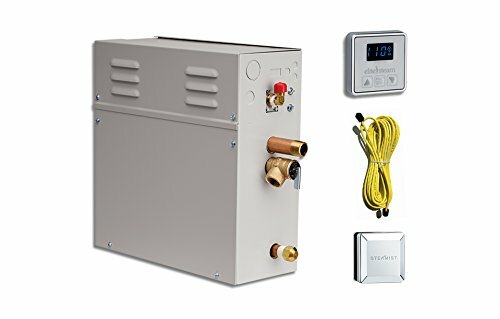 Buy EliteSteam 7.5 kW Steam Shower Generator Kit (Includes Steam Generator, Control, Steam Head, Cable) (Polished Chrome Inside Control) at Discounted Prices ✓ FREE DELIVERY possible on eligible purchases.